Why limit your PS3 or PS4 gaming console to only play games when it is capable of doing much more. Use your device as a PS3 DVD player or PS4 DVD player. Yes, your gaming consoles are capable of playing DVDs so that when you are done with your game session, you can enjoy your favorite title of DVD with your loved one on big TV without investing in a DVD player. In addition to DVD, Blu-ray and other disc formats are also supported depending upon the console model. So if your DVD is in PS3 or PS4 compatible format, you can enjoy playing them over these consoles. Following part of the article will help you with all your doubts on how to play DVD on PS4 or PS3. 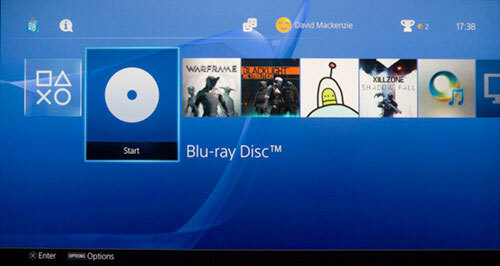 So now when you know that your PS3 or PS4 can play DVD, the next question is how to watch DVD on PS4 or PS3. The most obvious method is to insert your disc into the console and play them directly. Mostly as you insert your DVD or Blu-ray disc into your PS3 or PS4 device, the video starts playing automatically. But if due to any reasons it does not play, you need to select the movie title from the video section. Step 1: Start your PS3 or PS4 gaming console and log-in if needed. Step 2: Insert the DVD disc that you want to watch in your PS3 or PS4 console. Step 3: The movie will generally start playing automatically after the disc is inserted. In case if does not play, go to Video Section in the XMB Menu and hit X button on the movie title. The video will start playing. So when you come across questions like can you watch DVDs on PS4 or can PS3 play DVD, follow the above steps and show that you can with the supported formats. With limited format supported, playing all types of DVD discs on PS3 or PS4 gaming consoles becomes difficult. Thus, to avoid the limitation of compatibility, the best way is to convert the disc format to a PS3/PS4 compatible one. There are a number of converters available. But if you are looking for speedy conversion without compromising on quality, Wondershare UniConverter (originally Wondershare Video Converter Ultimate) is the best choice. In addition to supporting 1000 formats, this program also allows device-specific conversion including PS3 and PS4 device, so you do not have to worry about format or other compatibility issues. Using UniConverter (originally Wondershare Video Converter Ultimate), convert your DVD discs into the PS3/PS4 format and enjoy lossless quality output. Before proceeding with the below steps, insert the desired DVD into your PC. Step 1 Launch Wondershare PS4 DVD player and add disc videos. 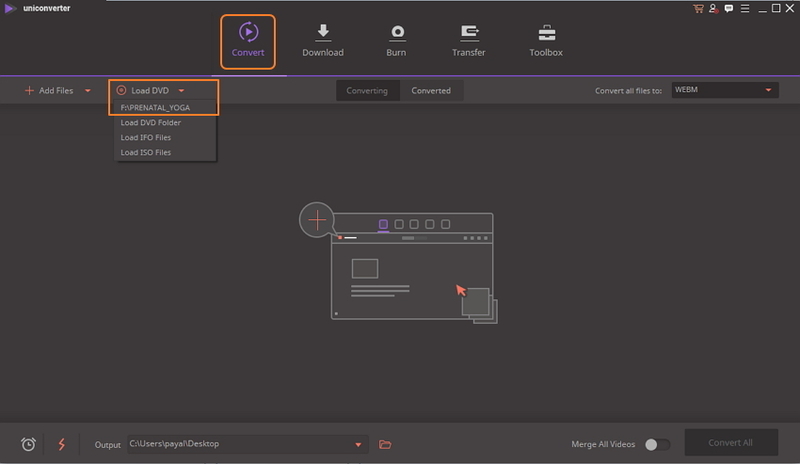 Open UniConverter (originally Wondershare Video Converter Ultimate) program on your PC after it is downloaded and installed. Select the Convert tab from the main software interface. (It is also the default selected tab when program opens). Open drop-down menu next to the Load DVD option and select inserted video title from the list. A new window will open and ask you to load Main Movie or All Movies. Select desired choice and click OK to load videos. Step 2 Choose PS3/PS4 compatible format as the output format. Once DVD files are added to the software interface, open drop-down menu at Convert all files to: option at the top-right corner. Select Device > Games > PS4 or PS3 as desired. Step 3 Convert DVD to PS3/PS4. Finally, hit Convert All to start the process. Select the destination on the PC where you want to save the converted files at the Output tab. With the above steps, you can resolve all confusions on can you play DVDs on ps4, as Wondershare converts all types of discs to your desired format. Listed below are some commonly asked questions and their answers and solutions that help you to know PS3 /PS4 and playing DVDs on them. 1. Where to Buy PS4 and PS3 with Best Prices? 2. What is difference between PS3 and PS4? PS3 and PS4, both are gaming consoles produced by Sony Computer Entertainment. PlayStation 4 is the successor to the earlier launched PlayStation 3 model and though both works as excellent gaming and video console, they differ in technical specifications, size, design and other aspects. The most prominent difference between the two devices lies in their architecture. 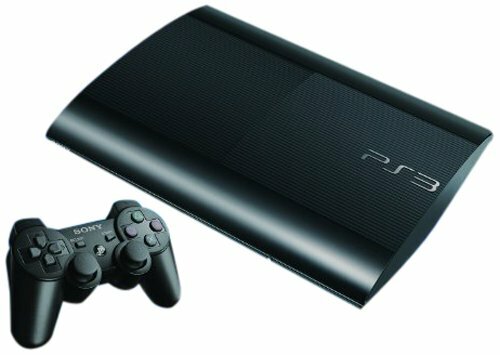 PS3 uses the Sony custom made cell architecture and has 3.2GHz single core CPU with companion core collection. It comes packed with 550MHz GPU coupled with 256MB DDR3 RAM. On the other hand, PS4 has 8 core AMD Jaguar CPU with 8GB of GDDR5 RAM and 80MHz Radeon GPU. Thus the newer PS4 has high CPU and graphics horsepower as compared to PS3 model. 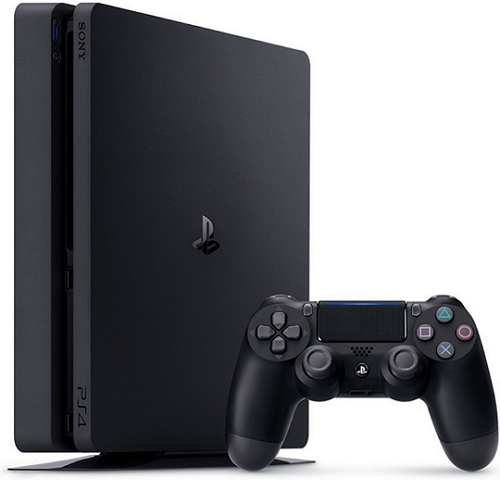 Moreover, the PS4 also comes with more RAM, a new motion-sensing camera, built-in game DVR, an improved controller with a touchpad, and bigger hard drive. On the flip side, PS4 is costlier than PS3 and the games designed for the previous consoles are not supported. Thus the collection of games available for PS4 is limited and small as compared to PS3. 3. Does the controller of PS4 works with PS3 and vice versa? PS4 comes with DualShock 4 Bluetooth controller which can be used as a secondary controller for PlayStation 3. But while connecting PS4 controller to PS4, the exclusive features of PS4 will not work. On the other hand, the PS3 DualShock 3 controller does not work on PS4 console. 4. Does PS4 play Blu-ray, DVD, and CDs? As we have already discussed in the above parts of the topic, PS4 support playing Blu-ray and DVDs. The console, however, cannot play CD but you can rip the files to MP3 format, transfer them to a USB drive and then play on PlayStation 4. 5. Is 4K format supported by PS4? PlayStation 4 support 4K format but only for videos and images. As far as gaming is concerned, there are no PS4 games available in the 4K format. Almost all the games play at 1080p full HD at 60fps. 6. Does PS4 support MP3 playback? PS4 does support playback of MP3 files but with restrictions. There is new USB player with the Update 2.0. To play your tracks, simply put your MP3 files on a USB drive and plug the same into the USB port of PS4. You will then have access to mini music player with controls to play, pause, track skip key, and volume control. PS4 does not allow transferring USB music to PS4 though. So let your PS3 and PS4 work as your media player device while you are in no mood to play games. "Can PS4 play DVDs" will be no more a question for you. > Resource > DVD Tips > Can PS4 or PS3 Play DVDs? Yes!